You might be having a tough time getting your hands on Kylie Jenner's Lip Kits, but when she's your aunt, you get insider access to all the good stuff. North West raided Kylie Jenner's cosmetics stash, according to Refinery29, and proved once again she is a fab tot with amaze taste. Whatever, dolls and legos. Playing with makeup is way more fun. If you haven't already discovered that North West is the true star of Kim Kardashian's snapchat, you probably will when you see Kim's picture of her daughter sitting in a bathtub playing with a giant box of Kylie's SinfulColors nail polish collection. I don't even think I knew what nail polish was at 2 years old. Kim captioned the picture "All the toys in the world & this is what she plays with," as well as adding in a handwritten script, "Fashion Icon." Truer words have never been spoken. Though she may (and you know she does) have access to as many cool toys as she could ever dream of, North totally gravitates to the cosmetics, and given that she's only two, I'm sensing her makeup game is going to be seriously strong by the time she's a teenager. Watch out, Kylie. Adorbs. Also, I am, once again, jealous of a toddler. 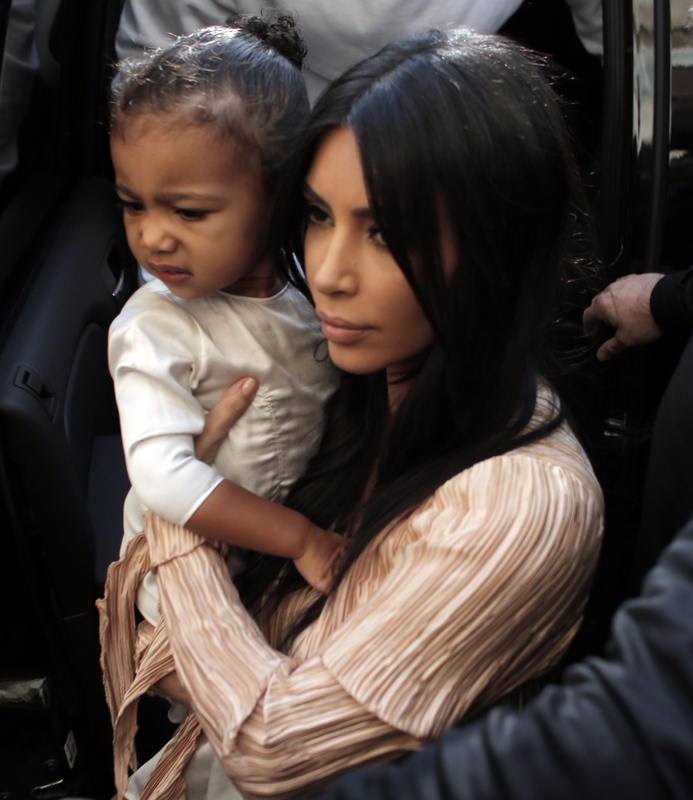 But this isn't the first time North has gotten into makeup. Here are a few other signs she's destined to become a fashion and beauty expert. And totally gave a makeover to her stuffed cat. Also, probably did a better job than I would have. No way did any of us look like this going to ballet class. Seriously. Can I raid her closet? On more than one occasion. I rest my case.